I have written previously about how you need to be careful when it comes to running a video or audio recorder in your car. A few non-believers always chime in to say I am paranoid. No, I am an attorney. 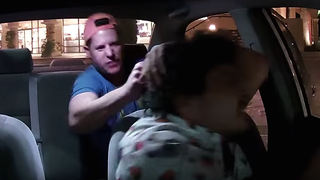 Consider the case of the Uber driver who filmed his encounter with the seemingly-drunk man in his back seat. The one who was pummeling him before the driver pulled out the pepper spray. Now the man in the backseat is suing the man in the front seat for $5 Million. The altercation took place in California, where there is an eavesdropping statute. That statute requires the consent of “all” parties for a recording to be made. Don’t get me wrong. I am not saying you should be able to assault Uber drivers when you are drunk. Nor am I saying this man will win his lawsuit. But I am saying it might have helped the driver if he had not publicized the existence of this tape so widely. He could have just sat on it and pulled it out later to defend himself if need be. But if he hadn’t gone on and youtubed it, he probably wouldn’t have gotten sued.